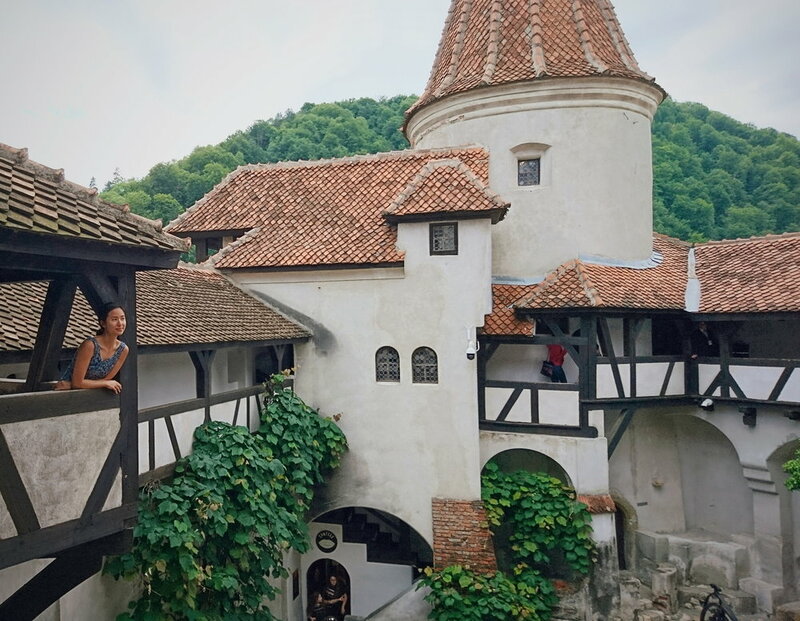 I recently visited my 50th country (Romania) during my recent trip to Eastern Europe. When I first started solo travelling roughly six years ago), I didn't imagine it would take so long to get to 50 countries. That is roughly eight countries a year, which doesn't seem like a lot but sometimes you get to a place and you love it so much you need to visit it thoroughly, from North to South, because usually every region is very different. Do I plan to visit all 195 countries now that I've been to over a quarter of them? Maybe. Certainly a few people have done it. But most people will live their lives not even seeing 25% of the impressively awe-inspiring world we are on. It's true. Travelling is not always easy. You have to plan where you want to go, take time off from work, save up some money, book tickets and accommodation and plan out an itinerary. However, I've found that as I've been to more places with more miles under my feet, that like most skills, travelling does get easier. In 2014 when I first went to Morocco by myself, I was overwhelmed by their aggressive culture that preyed on tourists. I was not used to having a local follow me around (for hours) and ask for money. This time, four years later, the locals didn't stop following me around, but I was more confident. After four years of travelling experience, I was better at asserting myself and telling people to leave me alone when I felt uncomfortable. I sought out interactions with locals where I felt safe - authentic experiences which didn't involve any monetary exchange. I am better at reading situations now and this helps as a photographer carrying thousands of dollars in camera gear (and as a regular traveller) - being able to spot danger and when you need to leave a situation. I've also gotten better at packing light through the years. On the left is all the luggage I brought with me for a month to Eastern Europe. On the right is all the luggage I brought with me to Indonesia in 2012. Living aboard an 83 feet vessel in Airlie Beach, Australia, for three days and seeing the Whitsunday Islands to this day is one of my most treasured memories. My Australia abroad trip was a pivotal moment for me because it was the first time I ever really travelled by myself to such a far away place. I had worked three jobs concurrently to save up for the trip the summer before, and it was satisfying to set off on a self-planned and self-funded adventure so far away from where I was raised. In 2012, I rented a camper van with some friends and made a road trip down the eastern coast of Australia from Cairns to Adelaide. It was thrilling to live day-to-day not knowing what we would be doing the next night or where we would park - the possibilities were open and endless. Snorkeling in the Great Barrier Reef was a life-changing for me. Being underwater is completely different to what I've known and grown up in - something clicked in my mind that day, that there are entire worlds unexplored, and entire worlds that are also sadly fading away. This experience was just the beginning in a lifetime of diving that would later lead to me getting PADI-certified and swimming with sharks in Thailand, also another memorable highlight while travelling. Seeing the Northern Lights in Reykjavik, Iceland, was one of my most memorable experiences. This natural phenomenon is absolutely stunning and awe-inspiring. It is also free to see (if you don't count cost of gas and car). Finally, the first time I climbed outdoors (and it was in the Blue Mountains in Australia too!) was a top highlight because I had never studied rocks so intimately and it was gratifying to see your progress as you climbed your way to the top. The novel/thrill aspect was also a huge draw - there was one point where I fell and thought that was the end, luckily I was clipped on and my partner "caught" me. The view at the end of the climb was absolutely stunning as well and also different from what someone who didn't climb the route would see (just from the look-out point).